Michael Montgomery, 63, husband of Cynthia Montgomery, of 15151 Hwy 221 South, Died on Thursday October 19, 2017, at Self-Regional Medical Center. 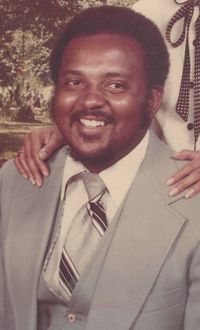 Born in Laurens County, he was the son of the late John and Thelma Louise Phelps Montgomery. He was a self-employed Auto Body Repair man and he was a member of Mt. Tabor Baptist Church. He leaves to cherish his memories, his wife of the home, his daughter, Cyntrina Montgomery, of Smyrna, Ga., One brother, Rev. Nathaniel (Irma) Montgomery, of Blythwood, S.C., four sisters, Thelma Marie (Edward) Brown, Peggy L. Montgomery and Betty (Lovelle) Williams, all of Columbia, Maryland, and Theresa Ann (James) Henry, of Laurens.